Following the high-profile launch of its first retail store in Istanbul earlier this year, Apple is preparing to open its second retail outlet in the Turkish city, reports Apple Toolbox. Apple Turkey made the new store announcement today, confirming its location in the Akasya Shopping Center. 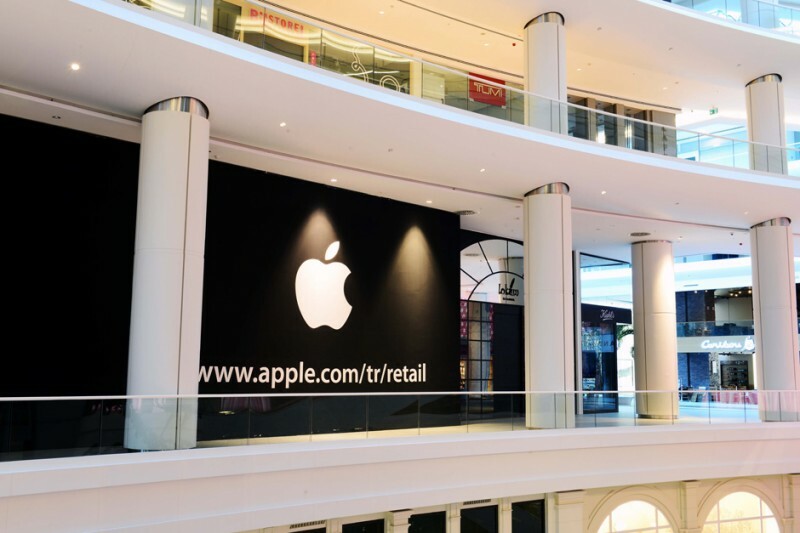 Apple's second Istanbul store will be more traditional in design due to its indoor mall location on one of the mall's middle floors. In contrast, Apple's first Istanbul store opened earlier this year in the upscale Zorlu Center where it resides in a subterranean location underneath a mall plaza that allows for a unique design. The eye-catching store features a cubic skylight rising out of the plaza with a glass ceiling and sides that take advantage of the store's sunlit location. In recent weeks, Apple has announced plans for upcoming expansions of its retail footprint by opening stores in Venice, Italy, Edinburgh, Scotland, and in various US locations, including Massachusetts, Georgia, and Connecticut. This is typically the busiest time of year for Apple retail store openings as the company heads into the lucrative holiday shopping season, although high-profile expansions are expected to continue into 2015, with Apple possibly opening its first store in the United Arab Emirates early next year, according to retail job listings. Ahaha, here they come out again.